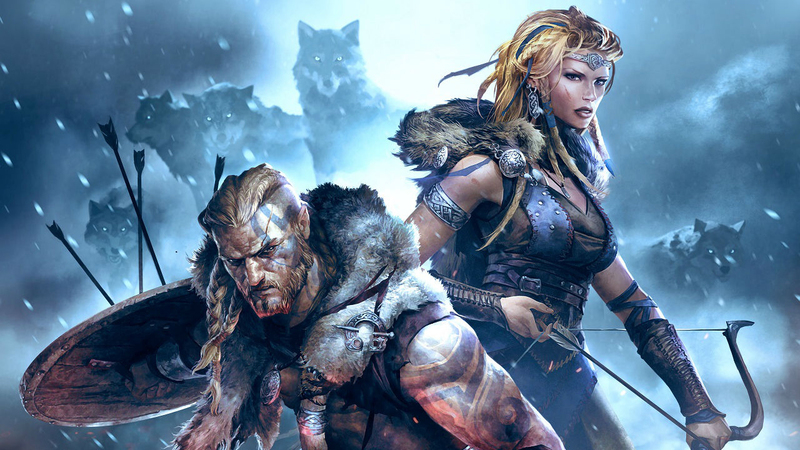 Vikings – Wolves of Midgard is a recent release to pretty much every platform available, Steam Consoles and Multiple OS’s. It is already shaping up to be a great experience, the game crafted mostly for the single player experience but with the ability to have a friend join you for it online why wouldn’t you play it that way. The game looks great, plays smooth, and Vikings! So why wouldn’t you want to give it a shot. Its a Novel take on the top down Hack and Slash RPG, with its combat being a little better paced than just throwing yourself at the enemy and button mashing, with a more strategic feel to it and rewarding you picking your openings and avoiding your opponents assaults. Its still a bit early so there are a few small things to account for, Multiplayer connections can drop are be hard to connect to, and there are a few frame drops here and there, but right out of the gate the game already feels great. If it sounds interesting you can get a more in depth overview of the game here, and for more Online games worth looking at you can find them here at MMOSpotlight.com!